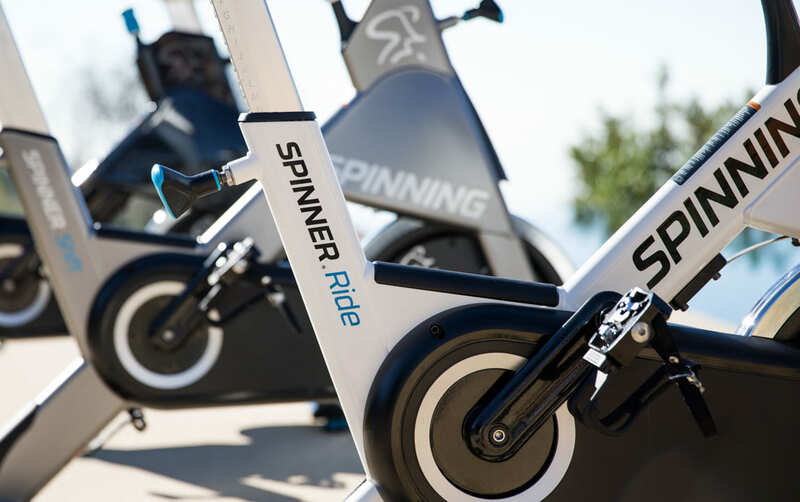 Spinning is the world leader in indoor cycling. 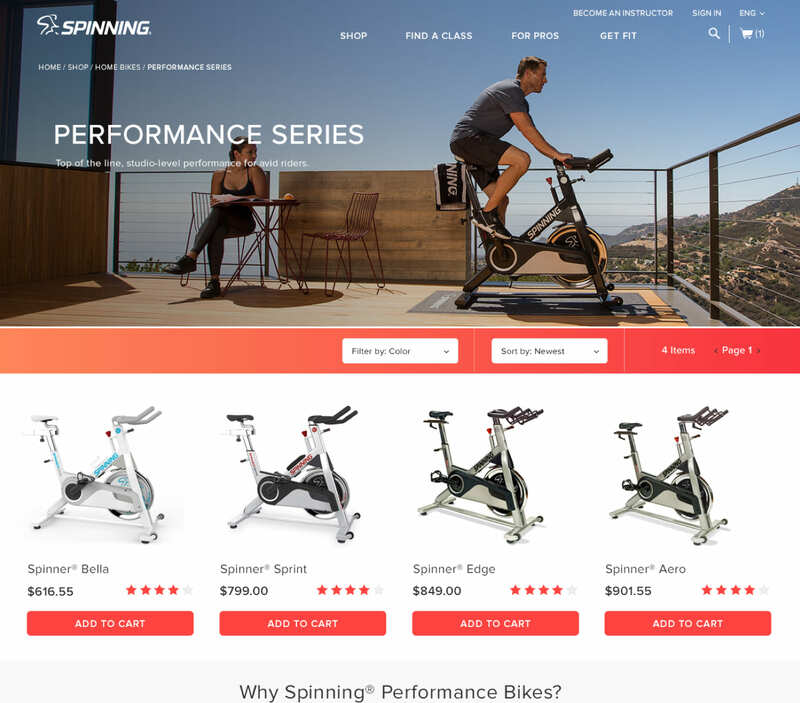 They aim to design and build the world’s best performing indoor cycling bikes and accessories, creating the perfect bike for every type of rider. 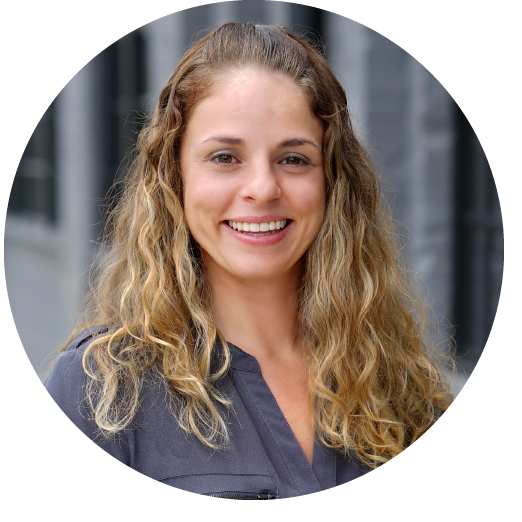 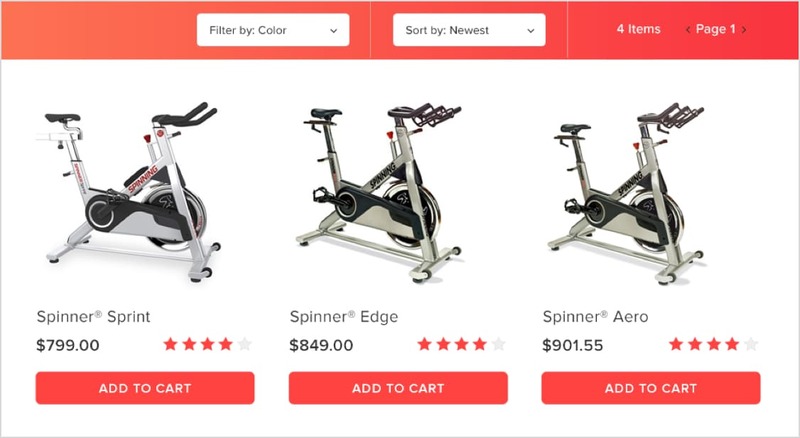 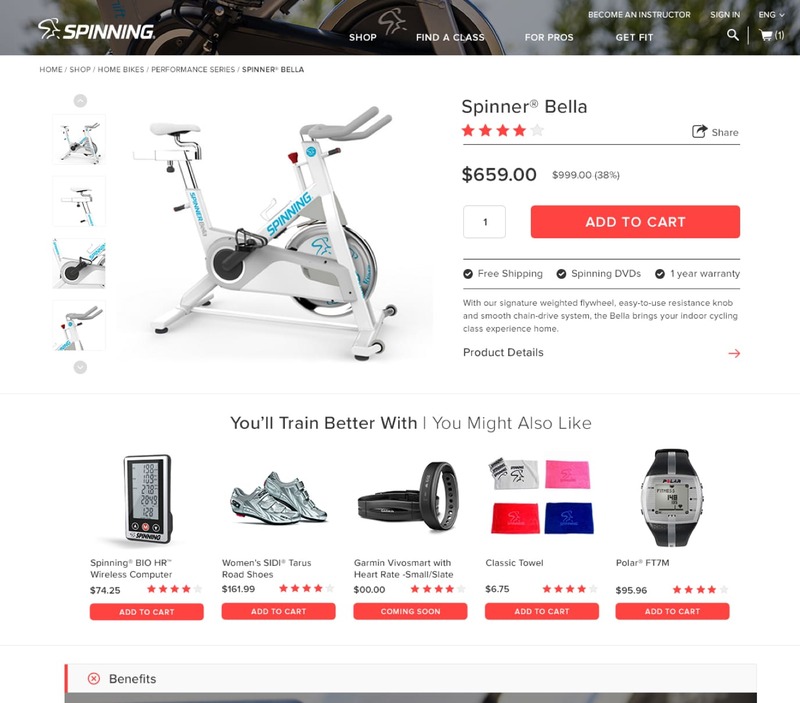 Spinning commissioned Groove Commerce to evaluate eCommerce technologies and create a site focused on driving revenue and engagement from the consumer and pro audiences. 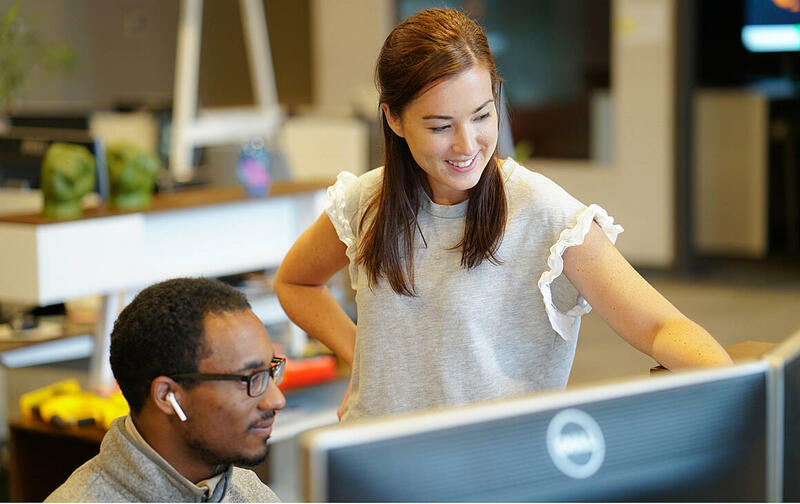 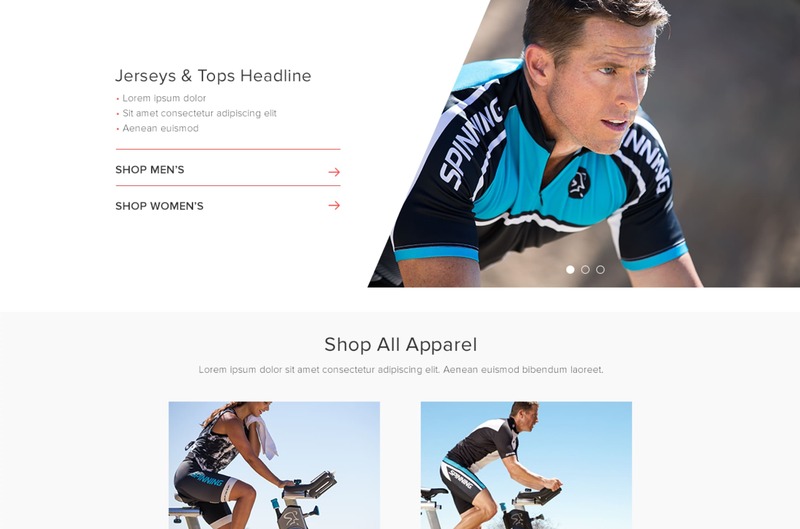 Following a comprehensive technical and marketing discovery process, our team created a custom design on BigCommerce Enterprise. 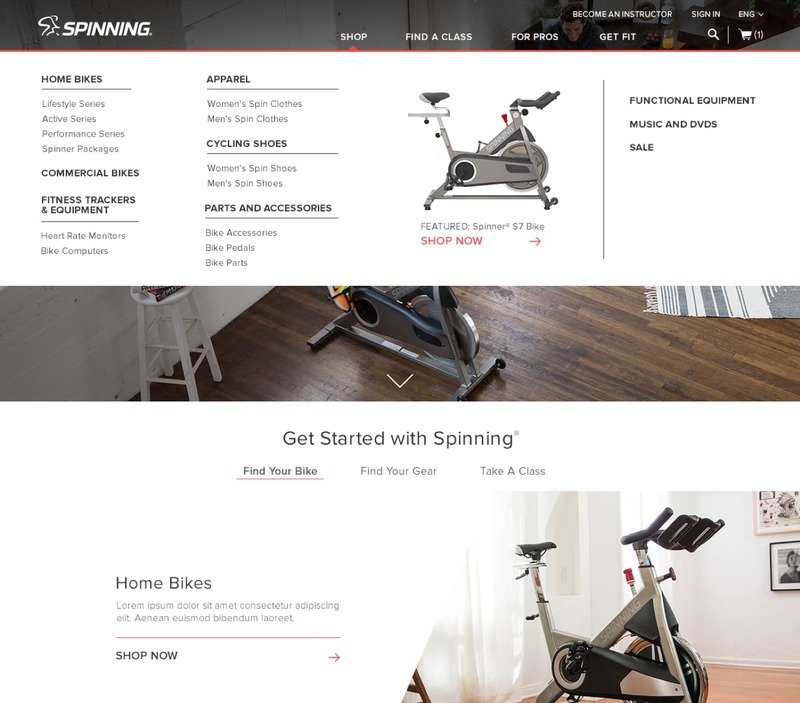 We focused on improving overall user experience and creating a responsive, conversion-centric eCommerce store to funnel users based on their buyer personas. 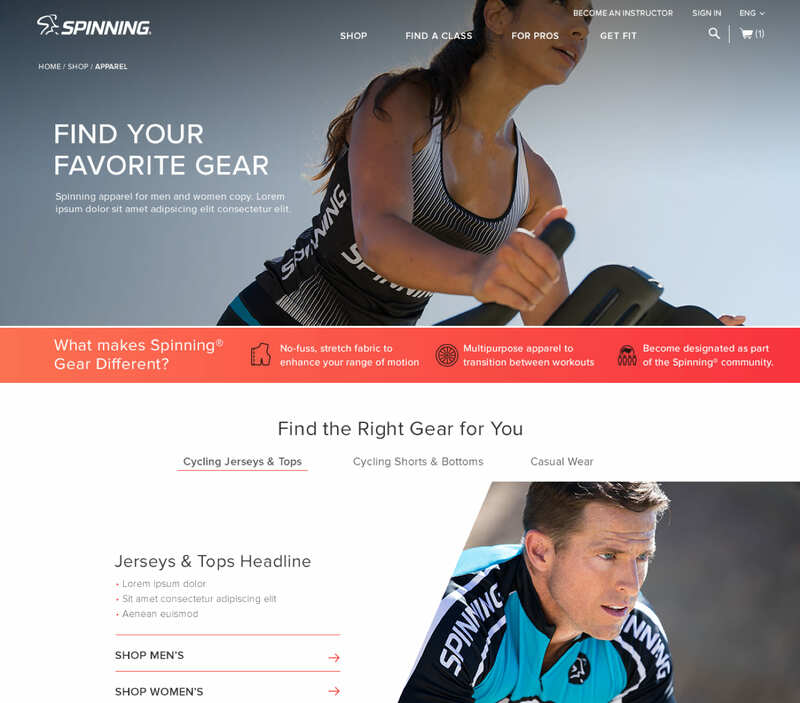 Following launch, Spinning experienced a lift in conversion rate and a decrease in its overall bounce rate. 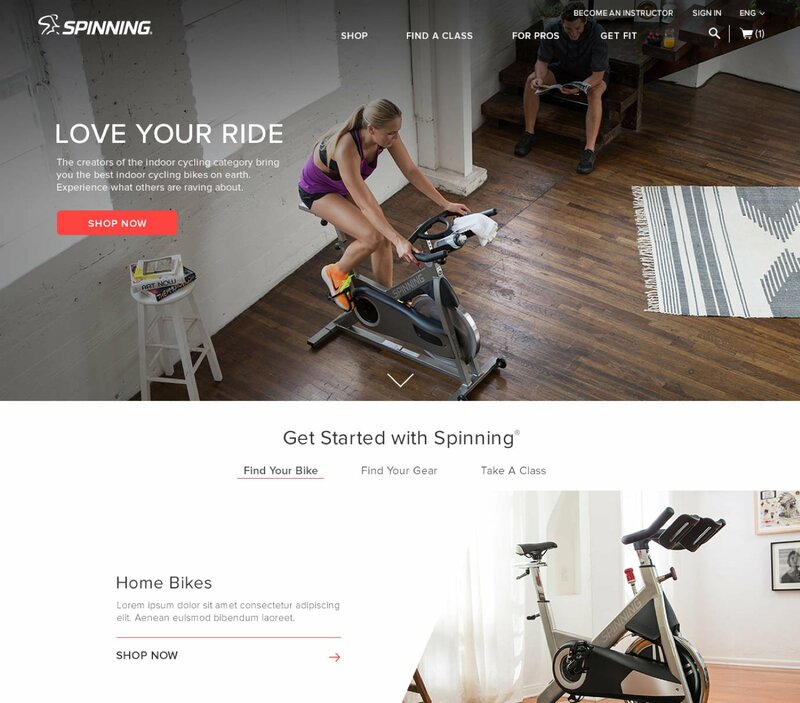 Additionally, our design helped to elevate the brand's visual aesthetic through a combination of compelling imagery and an intuitive journey.